It’s all lovely. But if forced to choose, we recommend either the Iron Age hillfort and surrounding lowland heath at Bickerton (owned and managed by the National Trust) or the dramatic sandstone cliffs, overhangs and caves around Rawhead (which is also the highest point on the Trail). The top of Beeston Castle is pretty amazing, too. For much of the way the Sandstone Trail runs along Cheshire’s elevated sandstone spine and there are new views and panoramas at every turn. Crest of the slope above Rock Farm (probably the BEST view of all) looking down onto Beeston and the other southern hills. Amazing! Because the Sandstone Trail hugs the sandstone ridge, there are few facilities actually on the route itself. Most cafes, shops and pubs are a short distance away; so it makes sense to carry with you lunch or refreshments and plenty to drink. Nonetheless, the delightful Pheasant Inn at Higher Burwardsley is just one of the popular refreshment stops right on the actual Trail. There are plenty many more nearby. There is plenty of accommodation either along or within easy walking distance to the Sandstone Trail. 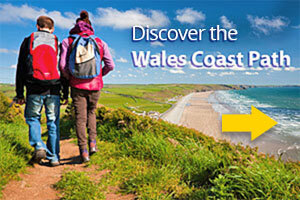 For more details, see the accommodation page on this website. Mountain bikes are actively discouraged on the Sandstone Trail, while horses are only allowed on short sections of official bridleway. Horse riders may enjoy the nearby Bishop Bennett Way, which covers much of the same ground by a different route. The best maps for exploring the Sandstone Trail are those published by the Ordnance Survey. Two Explorer maps cover the Trail: 267 Northwich and Delamere Forest [North] and 257 Crewe and Nantwich [South]. 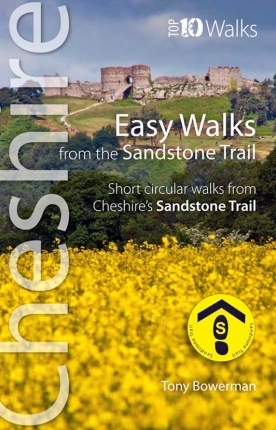 However, if you buy the official guide, Walking Cheshire’s Sandstone Trail, you’ll find it contains large scale Ordnance Survey mapping of the whole Trail. In fact, the book contains the only maps you’ll need. 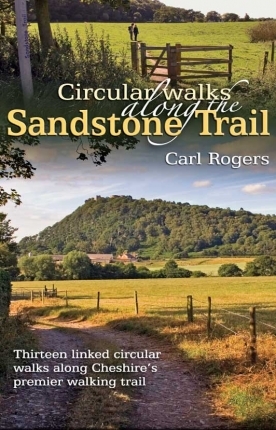 The Sandstone Trail offers unbroken walking over some of the finest countryside in Cheshire and northern Shropshire. Most people choose to walk the Trail in sections to suit their individual style and pace. The route can be joined at numerous places along the way, and the well managed and waymarked side paths give easy access to towns, villages, pubs, cafes and other amenities. Alternatively, you can walk the whole Trail over one or two days. Mostly pretty good. The Sandstone Trail varies in difficulty from easy to moderate, depending on the terrain. Short, steep sections include those at Frodsham, Beeston Castle, Higher Burwardsley, Rawhead and Bickerton. Timber and stone steps climb the steeper parts. The easiest, flattest sections are those in Delamere Forest Park and alongside the Llangollen arm of the Shropshire Union canal between Willeymoor Lock and Whitchurch. A full access audit was first done in 2008. Stiles along the Trail have now mostly been replaced with kissing gates — making the Trail suitable for families with young children, people with limited mobility and dogs. More than twenty distinctive, blue metal framed Information Boards appear at intervals along the Sandstone Trail. 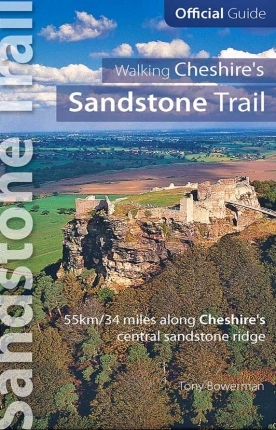 Each contains a route description, map, photographs of the key points of interest, transport information, and the latest news about the Sandstone Trail. There are also occasional ‘interpretation panels’ at intervals that explain or highlight particular places or themes. Some look at sandstone geology along the Trail; some explain hillforts and wildlife; another explores ‘Whitchurch Waterways Park’. Yes. Very clearly. The Sandstone Trail is fully waymarked and signposted along the whole route. The distinctive yellow Sandstone Trail waymarker disk features a black bootprint stamped with the letter ‘S’. The most popular section of the Trail is probably that between Beeston and Bickerton. Medieval Beeston Castle on its lofty crag has arguably the best views from any ancient monument in Britain. Nearby is Victorian Peckforton Castle and the wooded hills that culminate in the National Trust managed lowland heath on the Bickerton Hills. Other favourite spots include Overton Hill at Frodsham, sun-dappled Delamere Forest, wooded Bulkeley Hill, and the Llangollen arm of the Shropshire union Canal to Whitchurch. Just lovely and hugely popular — and for many good reasons. The Sandstone Trail is a constantly varied, elevated walk with amazing panoramic views across the Cheshire Plain and the Dee Valley to the Welsh mountains to the west, and away to the Pennines and Peak District to the east. The landscape along the Sandstone Trail includes the wooded sandstone ridge, open woodland and ancient forest, streams and meres, green lanes, lowland heath bright with heather and gorse, undulating farmland, canal towpaths and quiet paths and bridleways. The Sandstone Trail originally stretched between Frodsham and Duckington , at the end of the Bickerton Hills, but was extended in the 1990s and now stretches for 55 kilometres/34 miles, between Frodsham and Whitchurch. The Sandstone Trail is in northwest England, in the UK, and runs roughly north to south across the counties of Cheshire and northern Shropshire, between the picturesque, historic market towns of Frodsham and Whitchurch. It’s probably the best middle-distance walk in Cheshire and Shropshire, and certainly one of the most popular.